Build your ETF knowledge base. Learn the differences between ETFs and mutual funds, the growth potential of the ETF market, investor demographics, top ETF predictions, and more with Eric Balchunas, Senior ETF Analyst, Bloomberg Intelligence, and Raj Lala, President & CEO of Evolve ETFs. 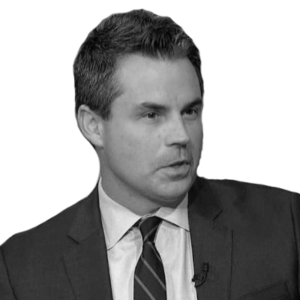 Eric Balchunas is Senior ETF Analyst for Bloomberg Intelligence, a unique research platform that provides context on industries, companies, economics, government, credit, ETFs and litigation available on the Bloomberg Professional service at BI <GO>. Eric also appears on and helped create the first-ever ETF TV show called “Bloomberg ETF IQ” as well as a weekly segment for Bloomberg TV and Radio called “Exchange-Traded Friday.” He is also a Bloomberg View columnist as well as co-host of a new podcast on ETFs called “Trillions.” He authored “The Institutional ETF Toolbox,” which was published by Wiley in March 2016.